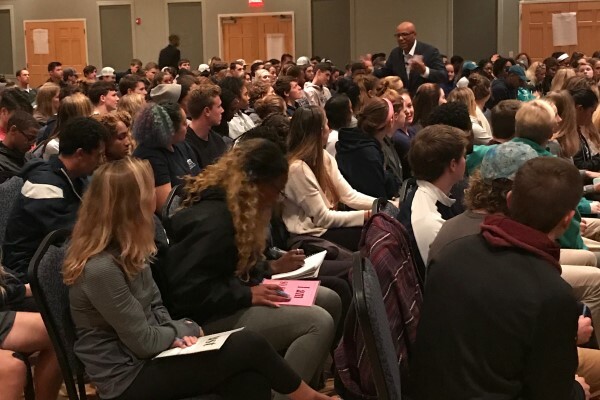 Dr. Earl Suttle speaks to University of Kansas football team, plus listen to player testimonials. Student athletes will isolate, examine through small group discussions those high-risk situations that could threaten their career, family, team and their school’s reputation and learn more appropriate strategies, tools and techniques through group discussion and dialogue to effectively master stressful situations that they might face during the season off the field and off the court. In this highly interactive program, athletes will learn 5 unique ways to reach their potential. They will also learn ways to increase their self-esteem, increase sports performance and class room work to build better relationships with others. 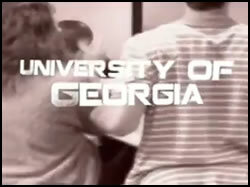 In this interactive educational program on alcohol and drug education, players will increase their knowledge about the stages leading to alcohol and drug addiction, and identify signs of alcohol abuse. Also, players will learn how alcohol and drug abuse can affect athletic performance. Players will also create team strategies to reduce alcohol and drug abuse problems on their team. Relationships make or break us. The better our relationships, the more success we will achieve. Our ability to communicate, resolve conflict, to present ourselves in a positive way and get along with others largely determines our level of success. 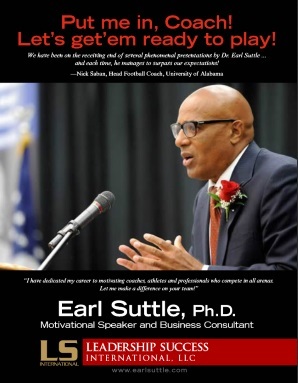 In this highly interactive session, Dr. Earl highlights unique ways to improve the quality of relationships with team members, significant others, friends and family members. The session emphasizes how significant other relationships can impact on the job performance and how to better manage others by managing one’s self first. Discussions will center around basic understanding of value systems between men and women, our largest cultural group in the work place. Participants will begin to gain more knowledge and skills to improve their current significant other relationships, thus hopefully leading to improved job performance as well. 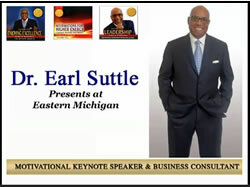 “Our lives are all about relationship building.” Earl L. Suttle, Ph.D.